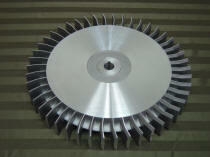 We offer a wide variety of Ring Compressor Parts and Ring Compressor Accessories. Below is a small sample, or contact us for even more! Designed for use with efficient, high volume, low pressure ring compressors. Aspirators create an effective method for disposal of lightweight materials such as textile trim, paper trim, film, dust, and a variety of other materials. Material is then conveyed to a remote receiver. CA125 Please Consult Cary Mfg. Connected to output of any ring compressor to provide suction and maintenance-free transport of granular or bulk solids, mist, particle-laden vapors, etc. For direct connection of inlet or outlet hoses. Model Part No. Y X Bolt Part No. Designed to protect ring compressor by filtering inlet air when compressor output air/pressure is used. 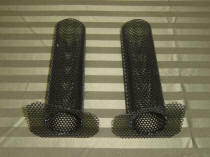 Filter has a perforated outer cylinder wrapped with a fine (.009") mesh screen. Disposable covers are made of 100% polyester fibers, 7/8" thick filter media in order to provide excellent dust protection. 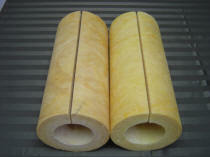 6" diameter plastic filters with a perforated metal basket available in 12" or 24" lengths. Filter traps used with ring compressors through 704A for trapping lint, string, etc. 1-1/2" and 2" hose connections available. Provides for "quieted" operation of ring compressors in environments where noise levels are critical. Allows utilization of ring compressor in a "no-flow" vacuum for use with suction cups and in other industrial "hold down" applications. 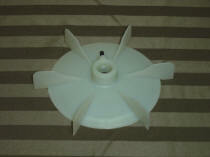 Booster permits flow of necessary cooling air thru ring compressor and boosts critical "dead head" level by 10 to 15%. The Cary Vacuum and Pressure Relief Valves are designed to protect Ring Compressors from overheating either in a vacuum or pressure ("deadhead") condition. Valves are preset to provide protection for each Ring Compressor. Or, Valves are adjustable to provide down to approximately 65% "deadhead" vacuum or pressure. 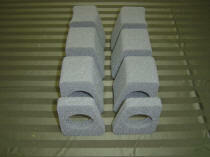 Valves for Fuji Models VFC300A, VFC400A, VFC500A are 1-1/2" NPT size. Valves for Models VFC600A, VFC700A, and VFC800A are 2" NPT. Valves should be checked periodically to assure proper setting. VV3 300 39" 39" to 25"
VV4 400 42" 42" to 27"
VV5 500 60" 60" to 39"
VV6 600 86" 86" to 55"
VV7 700 85" 85" to 56"
VV8 800 100" 100" to 65"
VV9 904 97" 97" to 75"
PV3 300 42" 42" to 27"
PV4 400 46" 46" to 29"
PV5 500 68" 68" to 44"
PV6 600 100" 100" to 65"
PV7 700 98" 98" to 64"
PV8 800 127" 127" to 82"
PV9 904 120" 120" to 82"
Steel receivers of 18 Ga. or 16 Ga. steel. Filter is attached to removable receiver top. 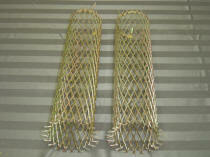 Filter is constructed of fine (.009") mesh screen wrapped around perforated cylinder. 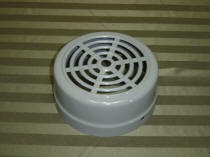 Inlet dust covers can be used for dust retention. Fiberglass screen collection bag is provided. Receiver is designed for ring compressors through 500A series. Available with (as pictured) or without motor/receiver support stand. 1-1/2" or 2" hose connections are available. Applications: For medium weight, low volume materials, wood chips, saw dust, light metal chips, dust and dirt where large filter area is not required. Steel receivers of 16 Ga. steel supplied with perforated metal inner cylinder for support of canton flannel canvas filter bag. Design effectively makes entire inner surface of receiver into a high capacity filter for maximum filtration. Inexpensive reusable disposable bag is available for easy removal of material from receiver. Inlet and outlet are 2" or 2-1/2" hose. Applications: Designed for light weight materials such as textile lint and dust. 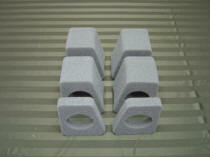 Can be used for powders, pellets, etc., but volume material would need to be limited due to lifting material to be dumped. Do not use for wet conditions.